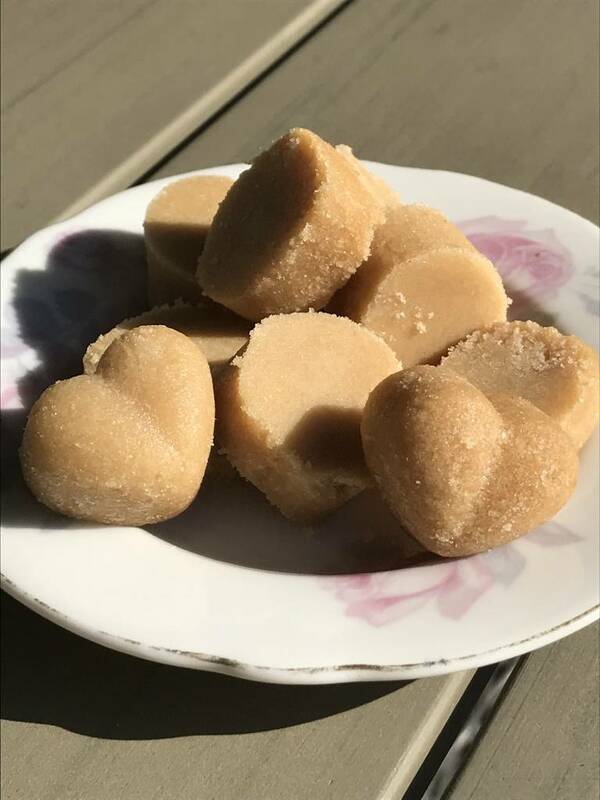 Maaike Smink has made this delicious recipe for us in which she has processed Greensweet Sweet Caramel. Line a baking tray with baking paper. Melt the Greensweet Sweet caramel and the Greensweet Brown in a saucepan with a tablespoon of water. When it is melted, put the pan on a low heat and add the butter and whipped cream. Let it simmer for 5 minutes, stirring gently with a wooden spoon. If it is nicely firm, pour it over the baking sheet or you do it in nice shapes. Make them about one cm thick, then let it cool down well and put it away in the refrigerator.